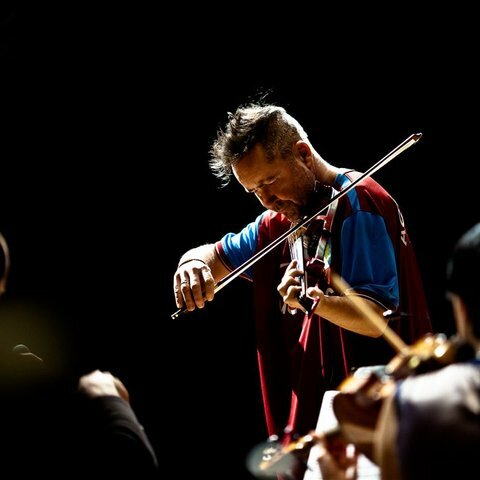 With his breathtaking technique and penchant for blending classical with jazz, rock, and more, Nigel Kennedy is both a maverick of the classical world and one of the biggest violin superstars of his generation. A prodigy, Kennedy was mentored by legendary violinist Yehudi Menuhin in his youth and emerged in the 1980s with his breakthrough recording Vivaldi: The Four Seasons with the English Chamber Orchestra. The album was a huge success and launched his decades-long career at the forefront of classical music. Despite his mainstream acceptance, Kennedy bucked tradition, adopting a spiky mohawk haircut and eschewing formal-wear in favor of punk-inspired stage attire. He also embraced a genre-bending aesthetic, blending Jimi Hendrix's rock with Celtic music on 1999's The Kennedy Experience, tackling jazz on 2006's Blue Note Sessions, and displaying his original compositions on 2010's Shhh! While his iconoclastic tendencies have drawn both praise and criticism, he is a marquee draw, playing sold-out concerts virtually everywhere he goes. Similarly, while he never shies away from challenging his audiences with his genre-bending explorations, he remains a populist, ever espousing the desire to make classical music more accessible, and unafraid of returning to his roots as he did on 2015's Vivaldi: The New Four Seasons. Born in Brighton in 1956, Kennedy grew up in a musical family the son of noted cellist John Kennedy and pianist Scylla Stoner. However, his parents broke up early on (John Kennedy moved to Australia) and Kennedy was largely raised by his mother. Encouraged to play violin from a young age, he quickly revealed himself a prodigy, and by age seven he was accepted as a student at the Yehudi Menuhin School of Music in Surrey, attending the prestigious institution on a scholarship the legendary violinist Menuhin designed specifically for him. From there, he moved to New York to study at the Juilliard School with violinist Dorothy DeLay. At age 16, he made one of his first big public appearances, accepting an invitation to play with acclaimed jazz violinist Stéphane Grappelli at Carnegie Hall. Although classical repertoire was his main focus, Kennedy's early showcase alongside Grappelli foreshadowed his career-long interest in playing music from outside the classical field, an interest that would also find him juxtaposing the music of different composers from across the musical spectrum. While still in his twenties, he signed with EMI and debuted with several well-received albums playing the music of Elgar, Tchaikovsky, Walton, and others. In 1989, he broke through with his recording Vivaldi: The Four Seasons, featuring the English Chamber Orchestra. A massive success, the album sold over two million copies and helped solidify his status as a global classical star. Similarly well-regarded albums followed including 1991's Brahms: Violin Concerto, and 1992's cheekily titled Just Listen, which featured renditions of concertos by Tchaikovsky and Sibelius. It was during this period that he also adopted his trademark, punk-inspired mohawk haircut and penchant for wearing unconventional stage clothes far afield of the traditional formal wear normally associated with classical performers. The look, combined with his Cockney accent and often acerbic attitude, brought him fans and critics alike, many of whom either praised or vilified him as a maverick. After publishing his autobiography in the early '90s, Kennedy took time off from performing, choosing instead to embark on an array of studio projects, including collaborations with Kate Bush, Robert Plant, and Stephen Duffy, with whom he recorded 1993's Music in Colors. He returned to his own work with 1996's stylistically expansive Kafka, which also featured contributions from Duffy, Jane Siberry, Stéphane Grappelli, and others. The following year, he took home an award for Outstanding Contribution to British Music at the BRIT Awards. Although classical music remained a focus, more genre-bending projects followed, including his 1999's Jimi Hendrix tribute The Kennedy Experience. In 2000, he paired with cellist Lynn Harrell for Duos for Violin & Cello. In the early 2000s, he began splitting his living and working life between England and Poland, where he met his second wife, Agnieszka. In 2003, he collaborated with Polish folk band Kroke on East Meets East. A year later, he returned to classical music with Vivaldi II, featuring the Berlin Philharmonic. In 2006, he made the bold move into straight-ahead jazz on Blue Note Sessions, which found him tackling standards and originals alongside veteran players bassist Ron Carter, drummer Jack DeJohnette, pianist Kenny Werner, and tenor saxophonist Joe Lovano. Also that year, he delivered Inner Thoughts, a set of slow movements of famous concertos from Bach and Vivaldi to Brahms, Bruch, and Elgar. He then celebrated his love of Poland with 2007's Polish Spirit, featuring violin concertos by Emil Mlynarski and Mieczyslaw Karlowicz and arrangements of Chopin's 2 Nocturnes, Op. 9. A collection of Bach and Beethoven concertos followed for EMI Classics, after which he issued 2010's Shhh! which included originals as well as a cover of Nick Drake's "River Man." 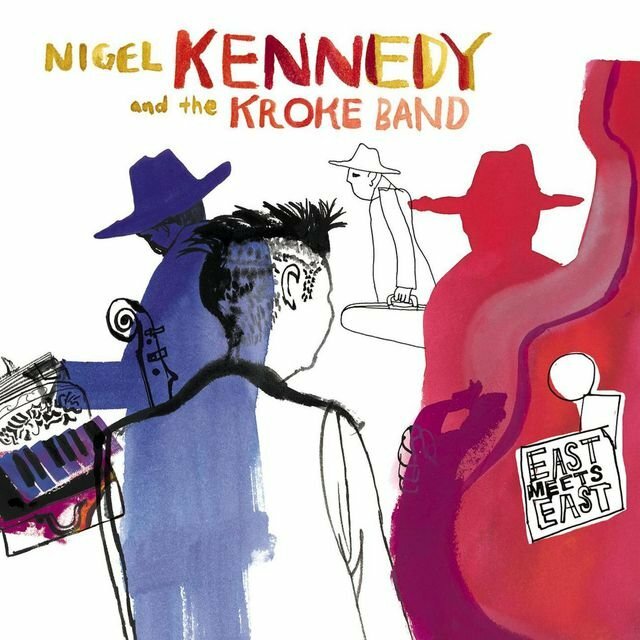 Ever interested in blending musical styles, Kennedy's 2011 album The Four Elements found him mixing Celtic and Gypsy fiddling, as well as jazz and rock intimations. A year later, he issued Recital, which also featured a stylistically varied approach touching upon classical, Brazilian, and African rhythms, as well as works by Fats Waller, Dave Brubeck, and other jazz players. In 2015, he returned once again to Vivaldi with Vivaldi: The New Four Seasons, a dynamic reworking of the composer's work weaving in jazz and rock flourishes, and featuring contributions form guests Orphy Robinson, Damon Reece, Z-Star, and others. In 2018, he celebrated the songs of George Gershwin with Kennedy Meets Gershwin, which also featured guitarists Howard Alden and Rolf Bussalb.